I’ve heard people talking about the Macadamia Deep Repair Masque for a long time now, and I finally jumped on the bandwagon and purchased it when I saw it for $10 off at Target. I assume my store was clearing out their stock for spring, or they may no longer be carrying this line. 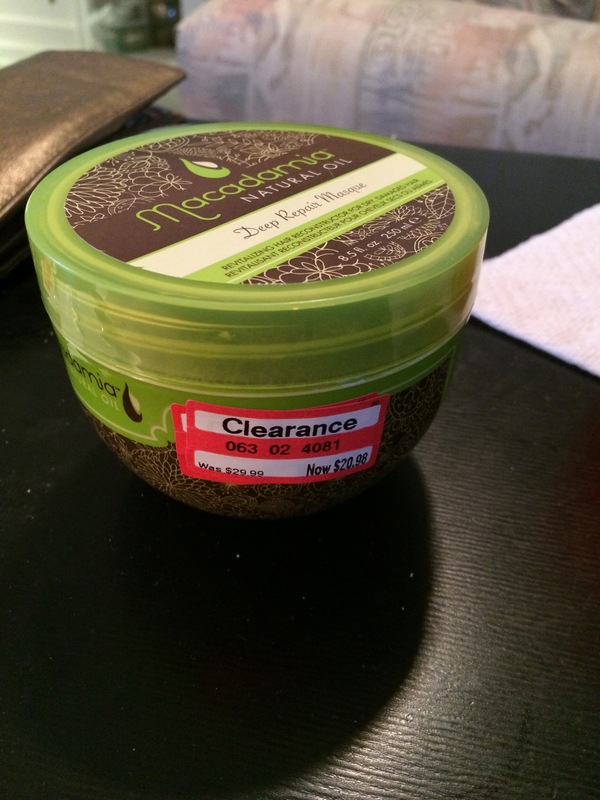 The jar has 8.5 oz of product and sells for around $30, making it a bit of a splurge item. Like I said, I got it for about $20, and it’s even a little less from Target’s website if you’re interested in trying it without shelling out $30. The product is very thick, so a “generous” amount doesn’t amount to a very large scoop from the jar, at least on my short to medium length. The label says to comb a generous amount through your wet hair, leave it for “up to five minutes,” and rinse it out. I’ve heard some bloggers say they leave this in for a longer period of time or even overnight, but I can’t speak to that. The label also advises to use it twice a week, but it’s really up to your hair and how it takes to the product. I’ve been using it twice a week to start, but I could probably get away with using it only once a week as long as I’m not using too many hot tools on it. My first impressions of this product were that it smells absolutely amazing, and it made my hair immediately softer. I couldn’t stop touching my hair as it dried, and the effects last for a few days. I noticed, too, that I had significantly fewer flyaways the next day, and static due to the dry winter weather was reduced. As I’ve continued to use it, I’m more and more convinced that this product is truly worth the hype, and I’m so lucky to have found it on clearance! I’m starting to wish I’d grabbed the second jar as well… oh well, at least I know now that I can find it online for fairly cheap. What is your favorite hair product? Have you tried this hair masque? I definitely have got to try some of this! Thanks for sharing! I’ve actually heard of using olive oil and honey! It doesn’t sound gross at all. I’m sure it works just as well as a store bought product. I loooove this mask! I actually just ran out of mine (it lasted ~6mos!) so I’ll have to make a trip to my Target and see if it is on sale, too! Wow, yours lasted a long time! If you don’t see it in store, check the price online. The link I provided in the post says about $17! Nice! I’ll check that out! What a great find! I used to use it and absolutely loved it. I felt like I was giving my hair a spa treatment.. haha $10 off is a great deal! It really does feel like a spa treatment! I knew I would never find it $10 off again.